The furniture retailer, which aims to produce as much power as it consumes by 2020, bought an under-construction 98 MW Illinois facility meant to open next year. The number in 2012 was only six percent. 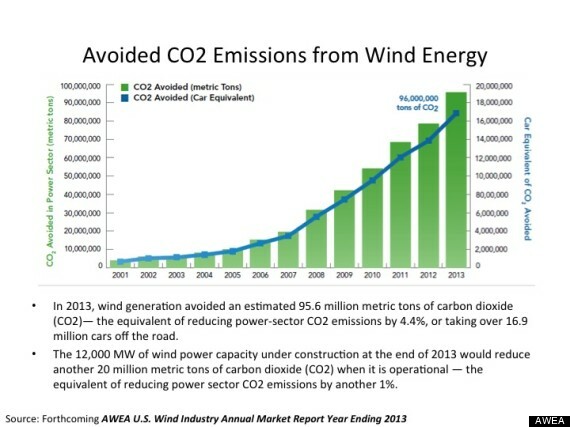 Wind generation avoided 95.6 million metric tons of carbon dioxide in 2013, says the American Wind Energy Association. The new plant, in Paull, England, is expected to start making offshore wind turbine blades in 2016.